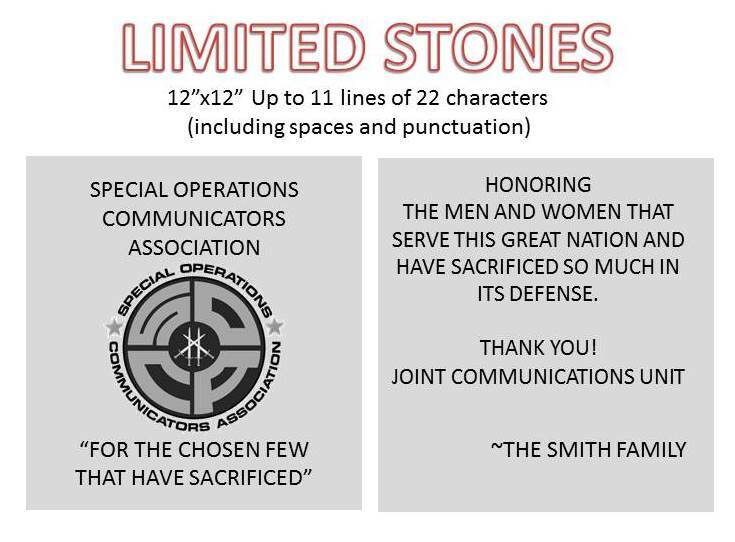 The Special Operations Communicators Association (SOCA) is proud to announce a major initiative with the construction of & dedication of the Joint Communications Unit Memorial. The memorial will serve to honor those active duty service members and civilians that have been lost during their tour of duty. The memorial will also serve as a quiet, peaceful garden to reflect on those that we lost, the JCU mission and the sacrifices given by all that serve. 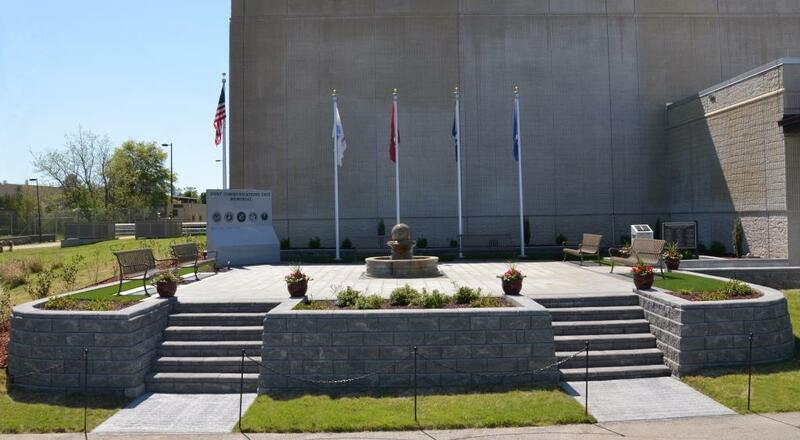 For those that visit, we hope that this memorial gives a sense of purpose to the brothers and sisters that serve this great nation, both past, present and those that will serve in the future. Please feel free to make a donation using the second PayPay button below, and also visit the memorial contributors page for a listing of individuals and businesses that donated $1,000 or more. 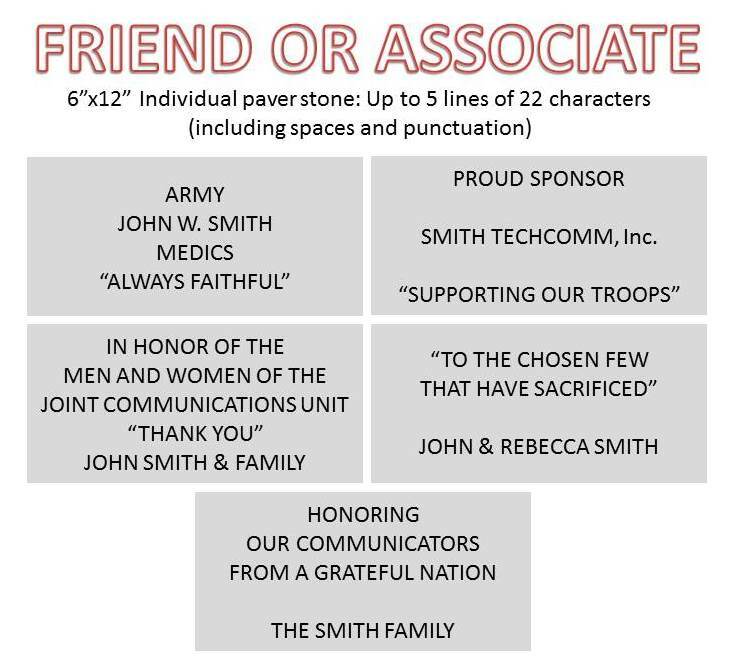 -Purchase and/or memorial donations are charitable tax deductions. -12" x 12" stones are limited, contact us for details if ordering. 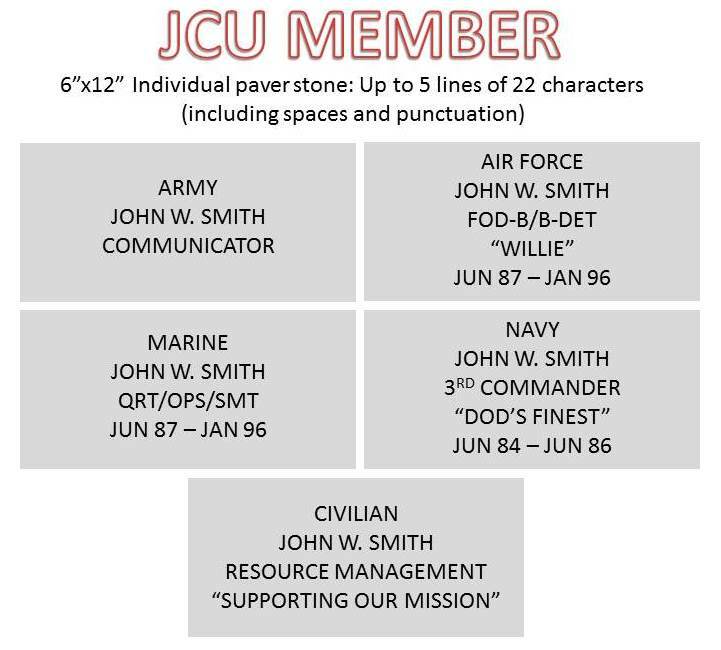 -Friends and associates of JCU are encouraged to buy individual pavers. -Donations of $1,000.00 or more are considered Memorial Contributors and companies or individual names will be recognized as such. -The memorial location precludes it from being viewed by the general public. Pictures of the finished memorial will be made public.